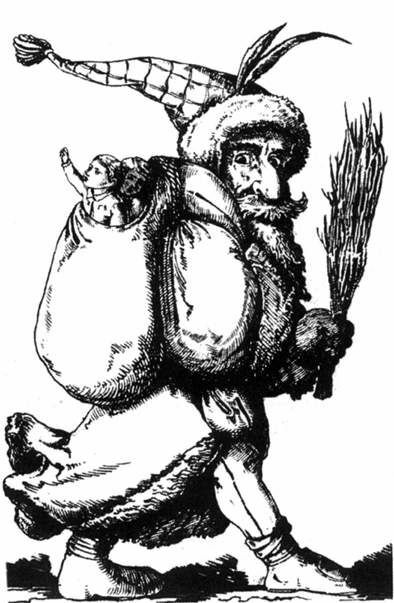 The Northern German Knecht Ruprecht (Slave Ruprecht/Farmhand Ruprecht) also referred to as Bur Klaas or Bullerklas is “Santa’s little helper”, a grim assistant clad in a brown who isn’t shy about using his rod on naughty children. He is referred to as a “tamed devil”, utterly obedient to “Wiehnachtsmann” though not by personal choice. 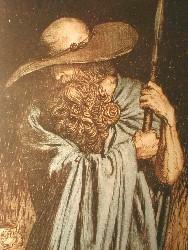 The name Ruprecht possibly derives from the word “Hruodperaht” meaning “glouriously shining one” – a byname of Wotan. 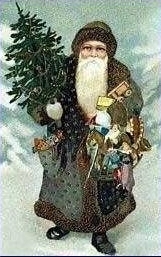 This might be another way of Christians having attempted to assert their dominance over the Pagan population by stealing one of their Gods and turning him into a Christian slave. 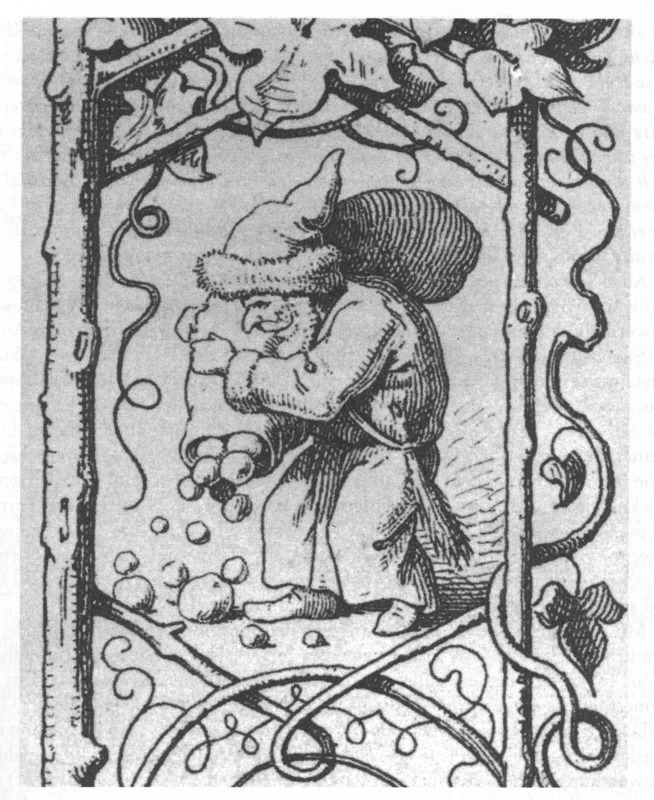 However, many scholars also believe the name comes from the word “Ruhperht”, “rough Perchte”. 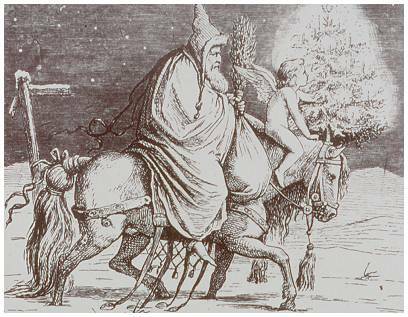 Perchta or Berchta herself is Frija-Holle, her companions are the Perchten, both male and female figures who remind a lot of the Southern Krampus. 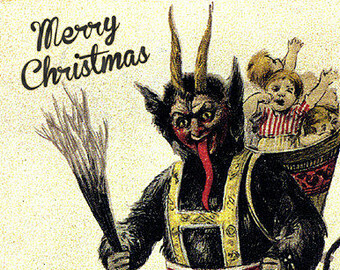 Krampus in turn is just another Alpine figure who – on Saint Nicholas’ order – punishes bad children with the rod. 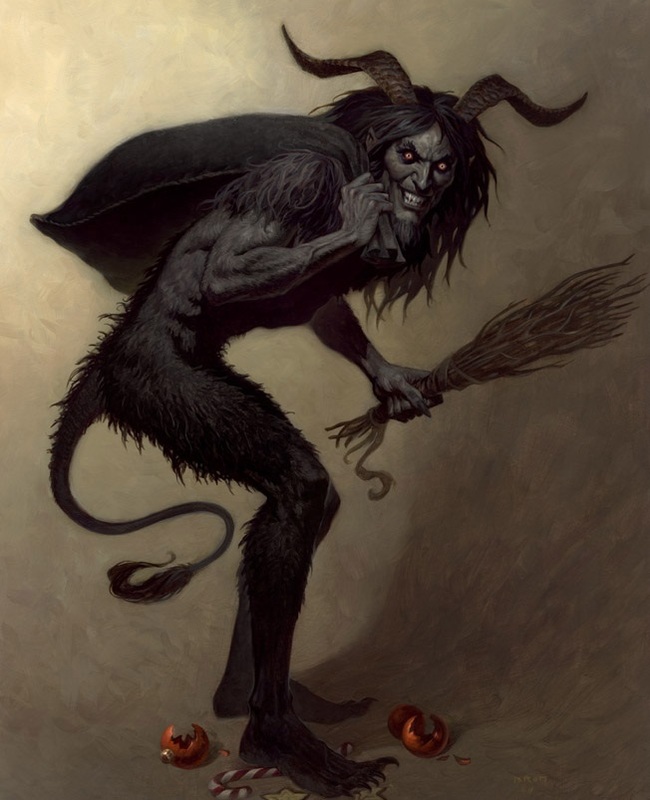 On the contrary to Knecht Ruprecht he looks like a sterotypical “devil” complete with horns and cloven hoofs a big crooked nose. and taking into consideration the hooded cloak and hat, the rod that often looked like a (walking) staff or spear one can easily make this connection. Okay, FIRST of all? If you’re trying to correct ME, a born and raised Northern German? Make sure you are actually right. 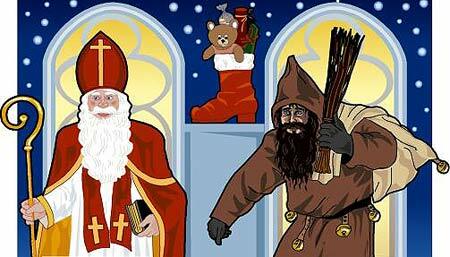 We DO say Wiehnacht up here, so your attempted correction is indeed incorrect!